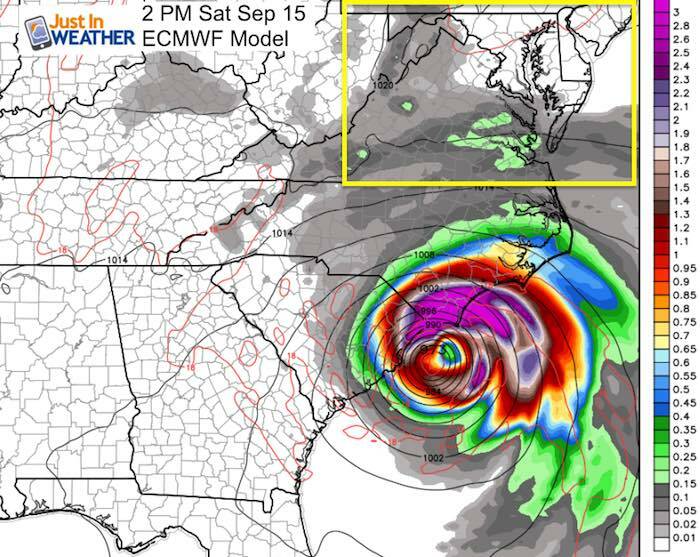 Hurricane Florence is still a beast with winds of 130 mph this afternoon. It was undergoing an eye wall replacement and now appears to be ready to intensify a little more into the evening. My prior post showed the likely wind field and possibly less impact for Maryland. This post supports with a special look at the European Model showing a new solution. But first, check out this impressive video form Hurricane Hunters flying into the storm and breaking through the eye wall. Here is the latest visible satellite loop showing the impressive structure I mentioned above. The center of the eye is clearing out again. The outflow looks healthy and the inner cross banding convection is really amazing. 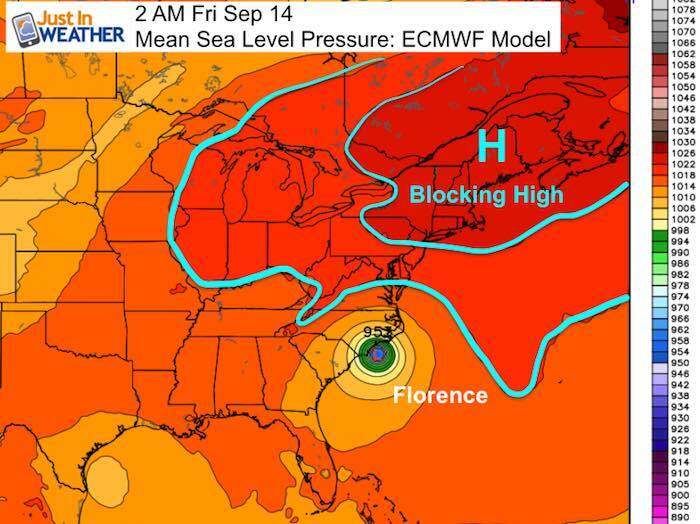 It is possible that the Mid Atlantic may end up with nice weather over the weekend while the storm may stall just off of the North Carolina coast and then push inland on a more southern track. 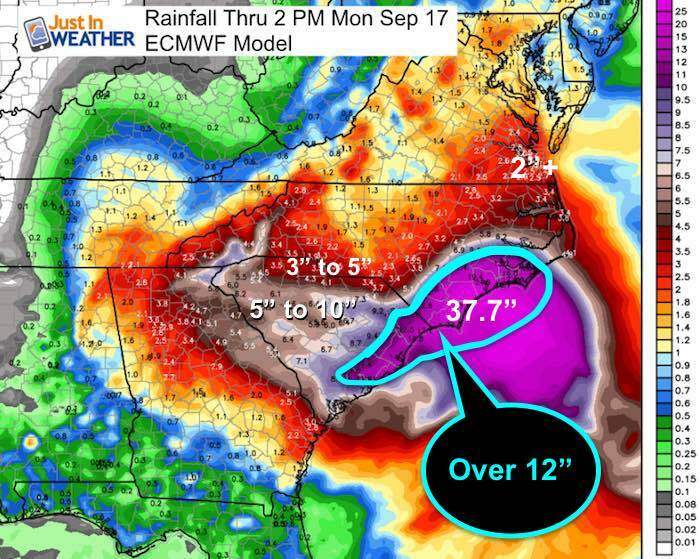 This is all due to a stronger ridge to the north blocking and pushing the storm. I don’t normally show this model in depth, but this is a special approved case. 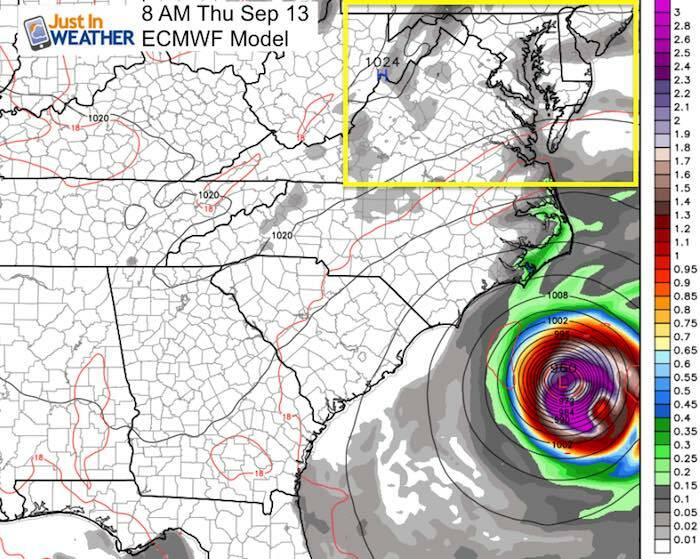 The GFS Model I was showing a few days ago kept showing a stall off of the coast. 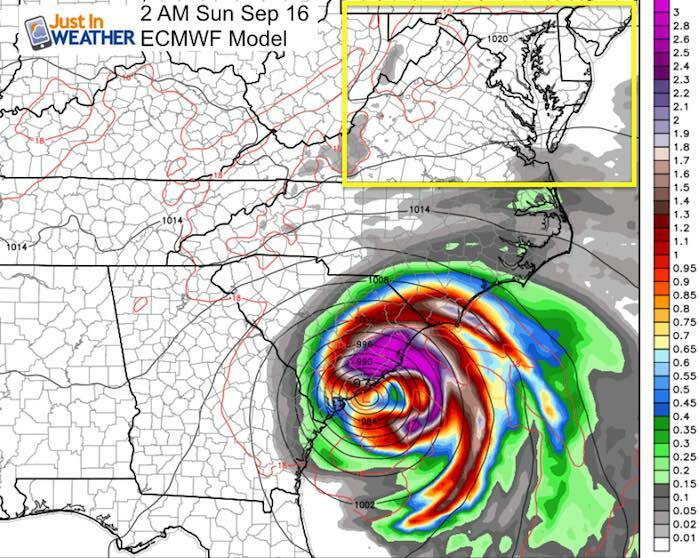 While that model was tossed out for inconsistency and poor location with a slower arrival, it may have been on to something. Should this hold, it puts all of South Carolina and now Georgia back in the target zone.